Not listed in NEMBA legislation, however it is troublesome weed and can smother and outcompete other natural vegetation. Scarlet pimpernel, commonly known as blue-scarlet pimpernel, shepherd’s weather glass or shepherd’s clock, is a low-growing annual plant. The native range of the species is Europe and Western Asia and North Africa Scarlet pimpernel is poisonous if ingested by man, dogs and horses. 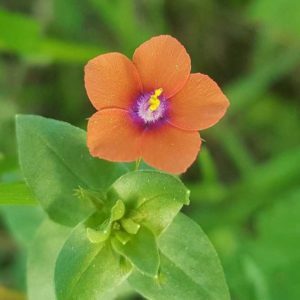 Scarlet pimpernel may cause dermatitis if handled.